Porsche has released a new promotional video that highlights the Weissach package on the 918 Spyder. Designed to express an "even stronger dedication to motorsport," the Weissach package features a number of carbon fiber components including the roof, rearview mirrors, windscreen frame and rear wing. The package also includes ceramic wheel bearings, titanium chassis bolts, a lightweight braking system and 20- / 21-inch forged magnesium wheels. 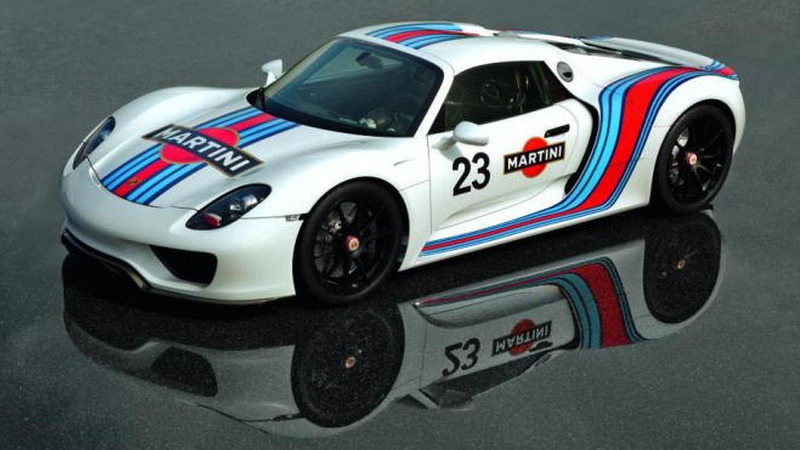 This, along with the elimination of some sound deadening material, enables the model to weigh 41 kg (90.3 lbs) less than the standard 918 Spyder. 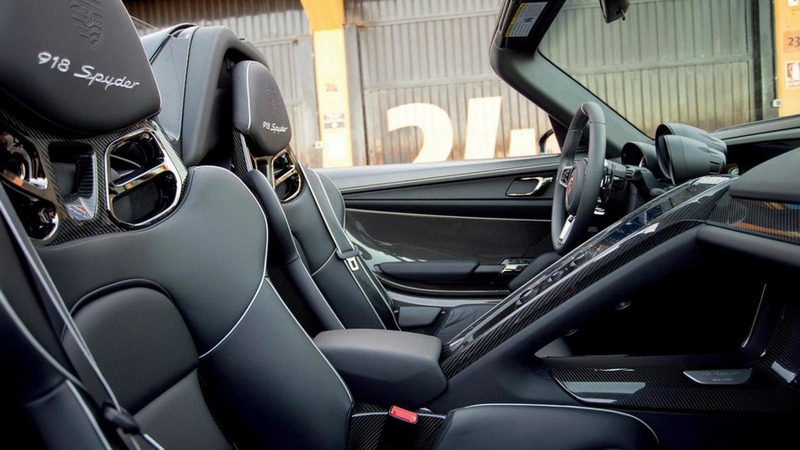 Interior changes are limited but the Weissach package adds six-point seatbelt harnesses and additional Alcantara upholstery. Motivation is provided by a 4.6-liter V8 engine that is backed up by two electric motors. This enables the model to produce a combined maximum output of 887 HP (652 kW) and up to 1,280 Nm (944 lb-ft) of torque. Thanks to all the aforementioned weight saving measures, the Weissach-equipped 918 Spyder accelerates from 0-100 km/h in 2.6 seconds, 0-200 km/h in 7.2 seconds and 0-300 km/h in 19.9 seconds - improvements of 0, 0.1 and 1 second respectively.